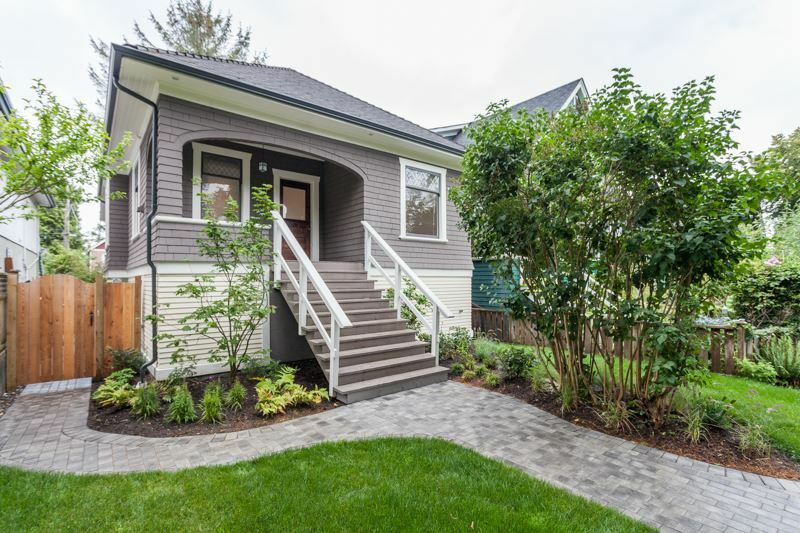 Enjoy life off "The Drive," in this perfect blend of modern living and classic craftsman design. With 3 bedrooms, 1 bathroom + suite potential, this home offers original fir floors, restored sash windows and hot water heating throughout with beautiful cast iron radiators. Laundry hook ups are on the main level and the bathroom features an oversized jetted tub. The fully renovated kitchen/dining area boast top quality appliances and custom concrete counters. The French doors open up to a large south-facing deck. Upstairs, the master bedroom + den has 4 large opening skylights, a freestanding gas stove and ample storage. Beautifully landscaped, the backyard is a private oasis with space for a laneway home.